“Peacock” oil painting by Regina in progress. 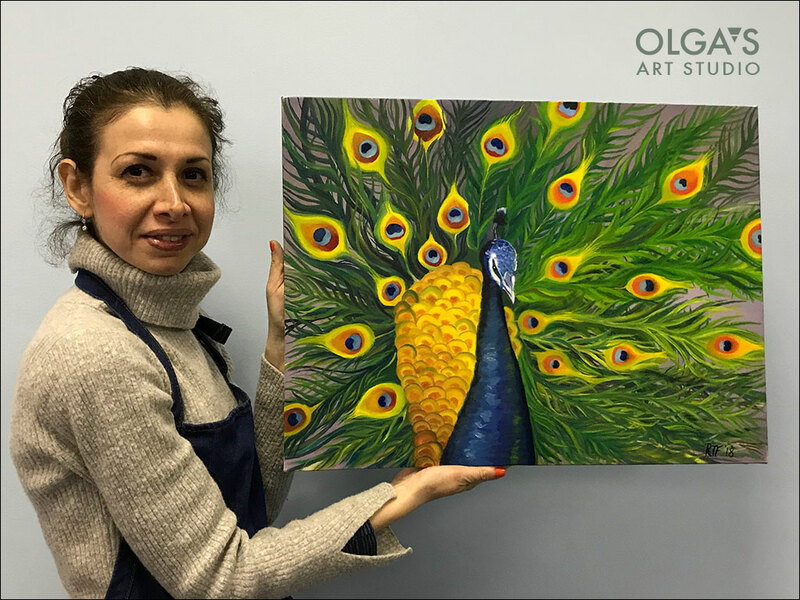 This entry was posted in Oil Painting and tagged adult painting class, oil painting, painting birds on April 15, 2018 by Olga Rogachevskaya-Chu. 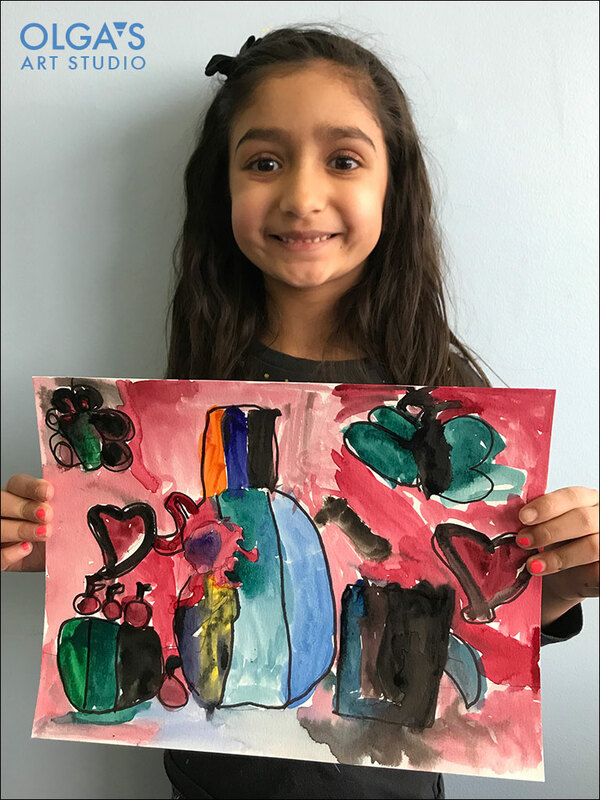 “Still-life with a vase” watercolor by my youngest students. This entry was posted in Children's Artworks, Still-life, watercolor on April 12, 2018 by Olga Rogachevskaya-Chu.